We Offer Apprentice, Junior, Senior, and Master 1 & Master 2 Stylists - Prices differ depending on Level. Call for individual pricing. You will automatically be given a senior stylists unless you request otherwise. Lisa graduated from the Capri Institute in Paramus in 1981. It was her dream as a child to be a business owner and that dream came true February 10, 2004 when she purchased the salon. Raised in Paramus, NJ in a Blue collar middle income family, she always said that she would be mindful of a client’s budget. In the tristate area, it's hard to find high-end services at an affordable price point. She is now proud to say she has made that happen at Lisa Thomas. Lisa's salon is not only well respected with an amazingly talented staff, but is also a salon that teaches. She offers a program to educate stylists from apprentice to master level 3. She loves to teach her stylists and watch them grow and also loves to educate her guests on how to look fabulous, stylish, and keep their hair healthy at the same time. The employees at Lisa Thomas attend advanced classes regularly on and off location to stay up to date on all the latest trends. Lisa herself attends a 5-day salon summit program in Tampa, Florida and attended Sam Villa educational classes. She took 2nd place in a hair cutting competition for the Regis Corporation with in house Training by Redken, Wella, Joico, Rusk, Paul Mitchel, Gold Well & Matrix. Lisa is certified by Redken in all aspects of corrective color and standard color and highlights as well as certified in all aspects of razor cutting. She specializes in color, highlights, updos, and perms. These days Lisa is not behind the chair as much but focuses on running the salon to make sure everyone is always on top of their game. Brianna is second in command at Lisa Thomas Salon, she manages the day to day operations. She is a certified Makeup Artist from QC Makeup Academy. She always had a passion for makeup and it became her creative outlet in life. She is trained in traditional makeup for beauty, bridal, fashion, and TV/film. She is also trained in Special FX makeup and loves to create Halloween looks. Brianna takes pride in making women feel their best. She can create a very natural to a very dramatic look depending on the client’s style and preferences. She attends the International Makeup Trade Show in NYC every year to educate herself in current trends and new techniques to deliver to her clients. She also invests in only the best products for her kit so that her clients look their best. Brianna is not afraid to take risks in makeup and always respects clients time and budget to make their makeup application a positive and exciting experience. Tina graduated from the Capri Institute and started at Lisa Thomas Salon in Oct 2011 as an apprentice, but is now salon manager. She is a Master Stylist level 1 specializing in women's, men’s and children’s cuts as well as, blowdrying, curls, special occasions styles, updos, bridal hair, color and highlights, and makeup. She takes care of ordering retail to be sold at the salon and attends Redken color & cutting classes. 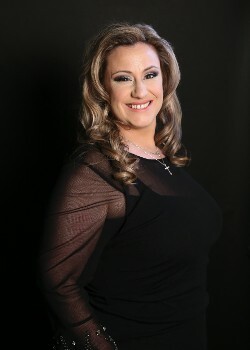 She has also taken classes with experts, Nick Arrojo, & Andrew Carruthers and takes continued salon education classes. She is Certified in extensions (tape in, fusion, beaded) and in Brazilian blowout & Coppola keratin complex. Karen graduated from Capri Institute of Cosmetology in February 2010 with a license in Cosmetology. While in school Karen became certified in fusion and tape in hair extensions. Karen has worked for Lisa Thomas Salon for 4.5 years. She is a Master Stylist level 1 and is part of the management team. She specializes in hair color, highlighting, balayaging, women’s and men’s haircuts and styling. She loves making people feel good about themselves. Brianna graduated from Parisian beauty in 2011 and is a Master Stylist level 1 at Lisa Thomas Salon. She is also a manager at Lisa Thomas Salon and manages the color/chemical ordering for the salon. Brianna specializes in color corrections, balayage, event styles, bridal and is certified in all extension types, Brazilian and keratin blowouts. She continues her education to keep up with new trends and styles with a passion for change and making people love their hair. Mary is a Master Stylist level 3 and has been in the industry since 1986. She graduated from Roman Beauty Academy and specializes in color, highlights, razor cuts, and perms. Mary is certified in keratin blowouts and Brazilian blowouts and attends Redken classes regularly to keep up with trends. Her main goal is to make sure her clients are fully satisfied with their service. Lucy graduated from the Capri Institute of Cosmetology in Paramus, NJ and started at Lisa Thomas salon in 2007; she is now a Master Stylist level 2. 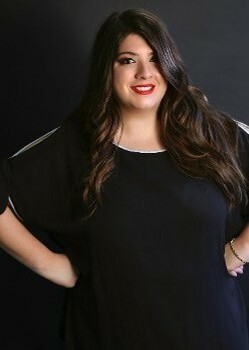 She has taken classes in Beverley Hills and New York City with certifications in Keratin and Brazillian blowouts. Lucy was a manager for several years at Lisa Thomas Salon and specializes in short hair cuts along with all lengths of hair. She also specializes in styling, coloring, highlighting, specialty highlighting, and event styling. Emily graduated from the Capri Institute in 2012. 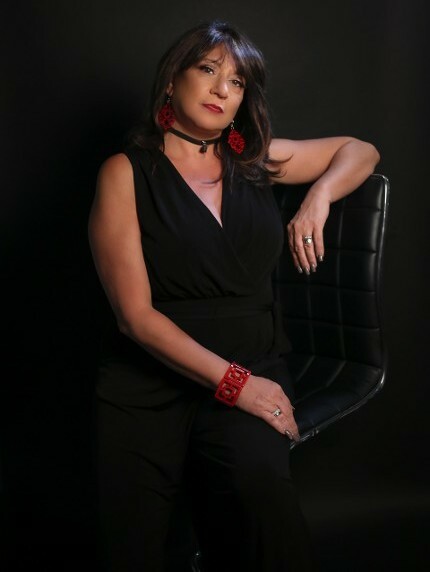 She is a senior stylist at Lisa Thomas Salon and is certified in event styling, Brazilian blowouts, keratin treatments, and extensions(bead, tape ins, fusions). Emily specializes in color, bayalage, highlights, and color correction and received the most fashionable award for 2018 at Lisa Thomas Salon. Michelle graduated from the Empire Beauty School in 2015 and is a senior stylist at Lisa Thomas Salon. 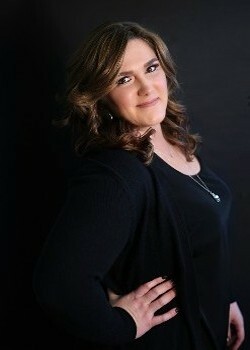 She enjoys all aspects of cosmetology but specializes in balayage, highlights, colors, curly hair haircuts, and blowouts. Michelle is certified in keratin and Brazilian blowouts. Michelle was awarded the most positive review on yelp in 2018 from Lisa Thomas salon. Her main goal with clients is to bring out their hidden confidence. 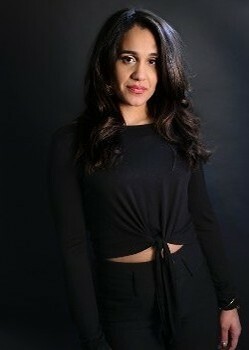 Merissa is a senior stylist who graduated from Parisian Beauty Academy. She has been in the business for 15 years and has a Matrix Master Color Certification. Merissa attends Redken, Paul Mitchell, Matrix, Keratin, and Lanza classes to continue her education and specializes in highlights, balayage, dimensional color, creative coloring, updos, Brazilian blowout, and keratin blowouts. She also specializes in bead, tape and fusion extensions and received the hairstylist of the year award in 2018. Merissa listens to her clients and understands their needs while respecting their hair.